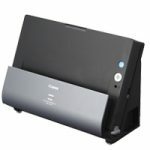 What a funny way to show off the the Canon C225 Document Scanner. A funny video on a “Document Photographer”: Asher’s Full story taking pictures of the paper as if it was a model. Great Marketing by Canon USA.